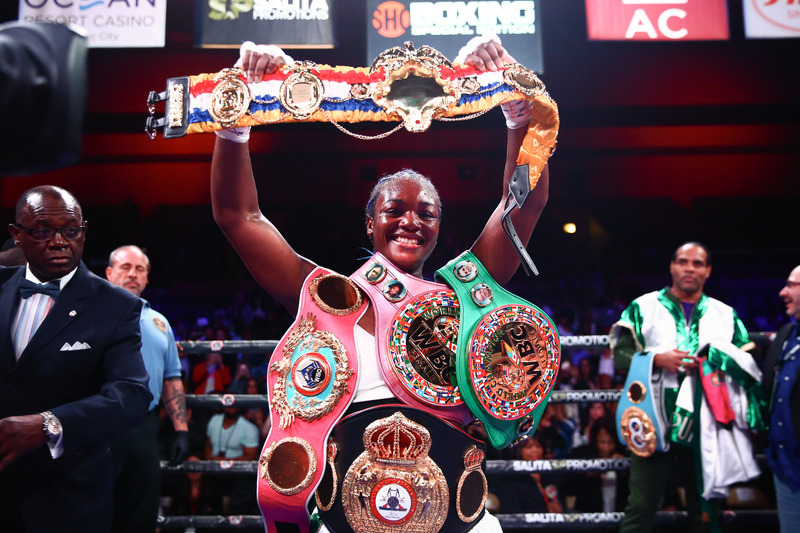 ATLANTIC CITY (April 13, 2019) – Claressa Shields is the undisputed Middleweight champion of the world. The 24-year-old Flint, Mich. native delivered the best performance of her career and cruised to a unanimous decision over Germany’s Christina Hammer Saturday on Showtimein arguably the most significant women’s boxing match in history. The judges scored the fight 98-92 and 98-91 twice. Christina Hammer (24-0, 11 KOs), who owned the WBO belt entering the fight, had her jab largely neutralized and her defense exploited from start to finish. Shields landed a remarkable 44 percent of her power punches and landed on 112 total punches compared to just 49 for Hammer. As impressive as her offense was, Shields’ defense and head movement was immaculate as Hammer was able to connect on just 13 percent of her total punches, 11 percent of her jabs and 18 percent of her power shots. Fresh off the biggest win of her professional career, the newly crowned undisputed champion of the world already has her sights set on another opponent.